PSI 2018 will take place from 9 to 11 January in Düsseldorf, Germany. 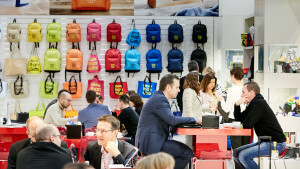 With approximately 988 exhibitors from 31 countries and 18,094 visitors from 85 countries, PSI is a large international platform for the promotional products industry. This year, there will again be an industrial customer day on 11 January, the last day of the show. For this day, promotional products consultants will have the opportunity of inviting their customers to visit the show on the last day. In a firework of premieres, a total of 50 new products will be launched onto the market at PSI 2018. All of these PSI FIRST products will be presented at the PSI insitute Competence area in Hall 9 StandM40 . The decision which of them are really convincing in terms of innovative power will lie with the trade show visitors. At this stand you will also find the winning entries of the PSI Sustainability Awards. In Hall 10, manufacturers and finishers will be showcasing everything the textiles industry brings to the promotional products market. Several premieres will take place at the event. For the first time, visitors can learn everything there is to know about textile finishing at five hands-on practice islands. Each island is dedicated to a different finishing technique: screen printing, embroidery, flock and flex, digital direct to garment printing and laser. Alongside simply explaining textile finishing, visitors can give it a try themselves. This highlight is made possible thanks to a partnership with Stefan Roller-Aßfalg’s Academy for Textile Finishing. What’s also new on PSI’s textile agenda are the discovery tours, which are designed to work like scavenger hunts. Using the hall map, visitors with an interest in textiles can search for exhibitors from the textile segment and learn more about their highlights along the way. What’s more, the first cotton learning path will serve to illustrate the stages from cotton to finished product through sight and touch. “Textiles are the clear focus of the promotional products industry”, explains PSI director Petra Lassahn. “With the expansion of the Textile Area and the new items we have added to the programme, we are specifically addressing the interests of our visitors. 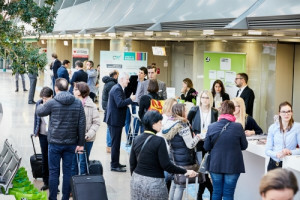 We are thus providing even more space for manufacturers, distributors and finishers to network and learn about new products and processes.” About 35 per cent of the trade visitors attend PSI because of a specific interest in textiles. Some 30 per cent are interested in textile finishing as well. 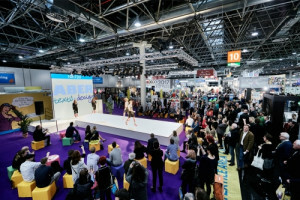 They will find the latest trends of the promotional textiles market at the exhibition stands of textiles companies such as Falk&Ross, Gustav Daiber, TeeJays, ID, Lynka and Clipper. In addition, Karlowsky Fashion, Storm Tex, Brand Promotion and Matterhorn have already booked their stands as well. In brief lectures, speakers will explore current topics from the industry and share valuable insights on seals and certificates like the Global Organic Textile Standard (GOTS), Fairwear and Fairtrade. Visitors will also hear more about the added value of sustainable products from a sales and marketing perspective. Associations and partners from across Europe will return to PSI 2018 once more to showcase what they have to offer at the International Area stand 11N47. In this area you can meet representatives from your country and discuss current industry issues with them. If you are you looking for the latest developments in innovative and extraordinary products, go to Halls 11 and 12, where you can meet first-time exhibitors, second-time exhibitors, inventors and “Forum for Young Innovative Companies” sponsored by German Federal Ministry for Economic Affairs and Energy. 9 – 11 January: 9 am – 6 pm. PSI verified promotional product distributors / consultants can buy a ticket in the ticketshops for €77. On-site tickets can also be acquired for €77. Follow the latest news on our website https://www.stitchprint.eu/files/psi-2018. You can also find more information at www.psi-messe.com.